We are a full service window cleaning company servicing the SW Metro and just right down HW 5 from Victoria. We offer window washing, gutter cleaning, and pressure washing services for your home and business. 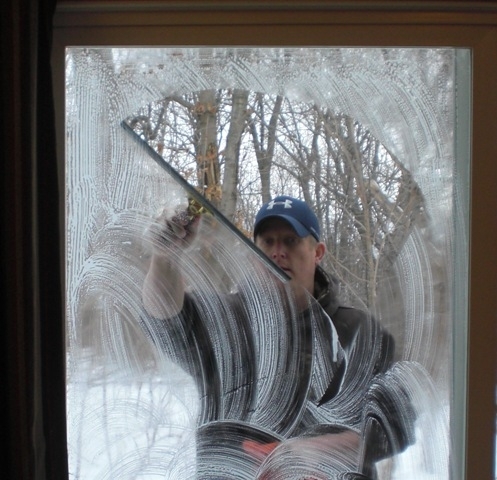 We know how hard it is to keep your windows clean with all the dust in the air from local construction and farm fields. Let us free up your weekend and have us clean your windows so you can once again enjoy that view. Window Cleaning - We offer everything from a simple outside only window washing, to a full package that includes inside and outside window cleaning, screens wiped or pressure washed, and tracks and sills wiped down. Gutter Cleaning – We had clean each section of your dirty gutters to make sure your gutter system is working properly and getting water away from your home. We had scoop each foot of the gutter and make sure the downspouts are flowing properly. We empty the debris into trash bags and remove from your home when we leave. Pressure Washing– Maybe that driveway could use a good cleaning, or the deck is ready to be prepped for a new coat of stain/sealer, or the home could use a good top to bottom cleaning.